What you see above is just one of the many, many exclusive posters the fine folks at Mondo will have on sale at San Diego Comic-Con. 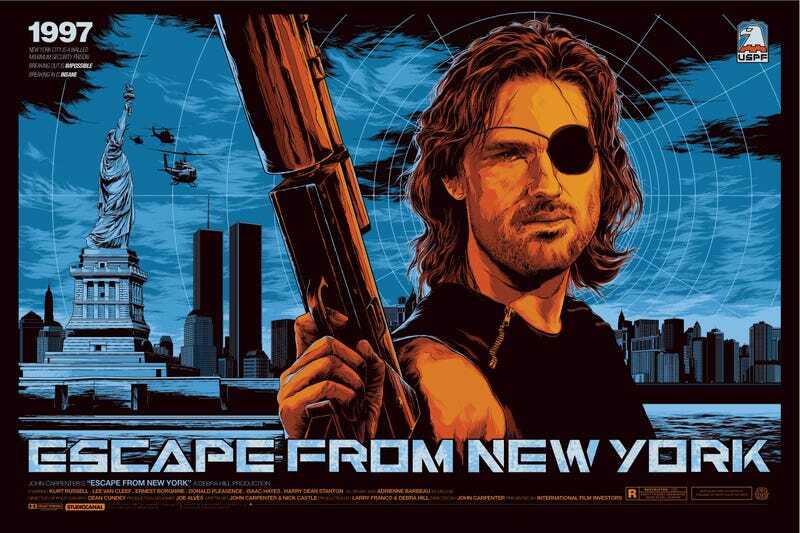 This is the variant edition of Escape From New York by artist Ken Taylor, revealed exclusively here on io9. The poster is a 36 x 24 inch screenprint in an edition of 175 and will cost $75. Mondo releases posters at random times during Comic-Con, so keep an eye on their @MondoNews Twitter for the exact time and date of sale. But if you aren’t coming to Comic-Con, don’t fret. The fact this is a variant edition means a slightly different version, with a larger run, will be on sale to the general public in the future. So what else will they have? We’ve covered a bunch of Mondo’s other exclusives here and here but they’ve also recently revealed this Jaws print too. Awesome.